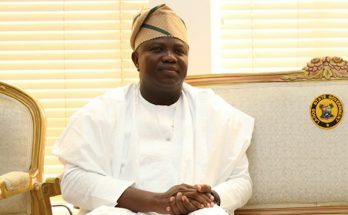 WITH the supersonic speed of social media, it is almost certain, troubled Lagos helmsman Akinwunmi Ambode, would have seen the viral video of Wasiu Ayinde spraying him with straight-from-gutter expletives. The successful but scantily-talented minstrel appeared a bit unstable in the video. 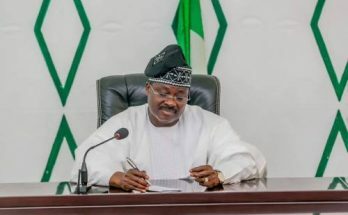 A calmer and tidier Ayinde was seen in another video, promoting the governor’s second term project. Without doubt, the one laced with the horrid, came after the governor allegedly desecrated Bourdillion, the shrine where Wasiu worships. Just like any average parasite, Wasiu has moved on to new blood with supposed more hemoglobin hemes. 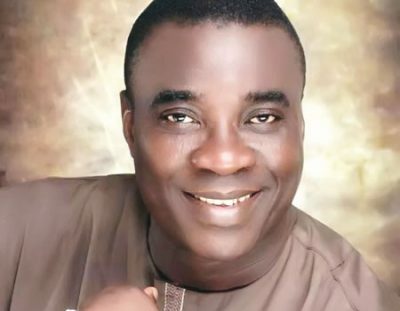 Someone who watched the videos of the famous one with vacuous mind and affected persona, wondered what Wasiu, the defunct KWAM 1, would be singing again, if the gods of Lagos politics eventually accepted Bolanle’s husband appeasement and returned him to his almost-lost paradise, now that he had shown himself a second-rate pecuniary prostitute, when it had not even been settled, the one with supposed shrunk phallus, would quit the bed. When musicians tell revelers they are emergency importer and exporter, general contractor, it is a Chinese product. Immediately the pipes stop flowing to them, you are “ara ile ookan” (unfortunate fellow). Ambode should not take Wasiu’s perceived liabilities to heart. He was trained to be a flotsam during his loading and off-loading tutelage under Ayinde Barrister. The tragedy here is a 60-year old man not demonstrating the self-rebirth phase everyone is expected to experience at certain stages in life, regardless of beginnings. Ambode can take solace in Yoruba’s way of preparing one for dark moments, “Tiya nla ba gbeni sanle, kekeke a ma gori eni” (you experience all manners when down). 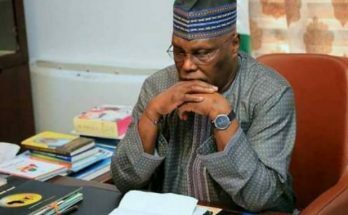 But has Akinwunmi himself acted the akikanju omo (the diligent one)? Are his ways, “pure” before his Maker? Only the governor can truthfully answer this, silently, to his conscience and to the God of heaven who controls the miniature gods, before whom, he’s been groveling, embarrassingly. When the public considers your voice not sonorous in their ears, your logic will always appear bent to them. Yoruba’s wise-lyric “won o fe e nilu, o nda orin” is succinct, concerning such fellows. The latter half of the doctrinal warning, which roughly translates to “an unloved fellow must shut up,” is that nothing from him or her, would ever be considered sensible. Such unwanted fellow can however have good news to his plight; there is propensity of him becoming the victim, on whose side, the same crucify-him crowd might be at a later stage, if the pummeling by the hailed oppressor, berths at the ludicrous. In the inherited heritage of Oduduwa, there is an ear-taping manual for everyone in a roforofo (war that makes monster of men). While the one above is for the villain, a hero without a sense of proportional hurray, has “Eebu alo ni ti ahun” (don’t indulge in an over-kill, simply because you are at an advantage) to temper him. Well, that is the him, who has a listening ear and a doing heart. Wonderful race! If you engage in the galala of na me holy pass, when crudely-acquired “oyel” constantly drips into your gummed lips with hidden passage into your mouth and you stylishly frolic your tongue in pleasure, Yoruba will remind you of the agbepo laja (someone who needs help to complete a thieving episode) and his helper. To the race, both are guilty. And for the over-sabi subordinate who loves eye-service to a ridiculous level, Yoruba usually put a leash on such fellow with “ti a ba fise eru ran eni, a fi ti omo je (you get sensible when thrown into a complicated errand). Today, I am in my Yorubaness mood but incidentally some of those being addressed by the unique Oduduwa wisdom are not of shared ethnic affinity. Despite language inter-relatedness, I know no linguistic similitude would make English interpretations, come off, with exact meanings. The simple fact that Yoruba language is mainly rooted in cultural cultivation and founded on codified lingual mode, places it squarely in its own chiseled space, where not even memes of any other languages would capture any of its essence. That places my homily in the danger of sounding but not communicating, to the trio of President Muhammadu Buhari, Governor Ayo Fayose and EFCC-dynamite Ibrahim Magu, as they tango over the politics of alleged corruption probe. The core indices of the probe, are like a mirage. The job is being done with consistent phlegm being hurled on the governor and spittle being self-splashed on the face, in fits of unholy rage by EFCC. When you see someone in this mood, one is tempted to ask, wetin sef? The way Magu throttles on Fayose’s matter, one would think both had fought for right-of-way on the narrow path (ese ko gbeji). But there is another Narrow Path, one would wish, they all take, for their own sake. It is one, of righteousness and conscience. Narrower than where they currently stand, but surer. The bile spewing from both active and silent sides to the probe imbroglio, doesn’t suggest, anyone is, and thinking of taking the blissful way. Truth be told, the governor has a way with self-wrought grief. His letter was aggravating, gyrating, gratuitous and grievous. No enemy would also such a “golden moment” pass.